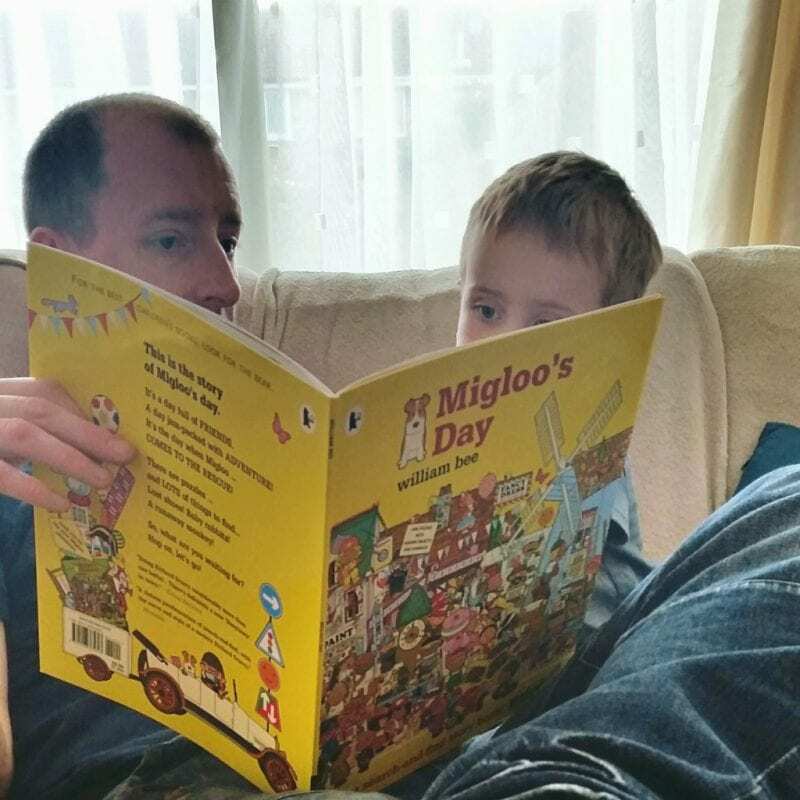 I was asked to review Migloo’s Day by Mumsnet and Walker Books. 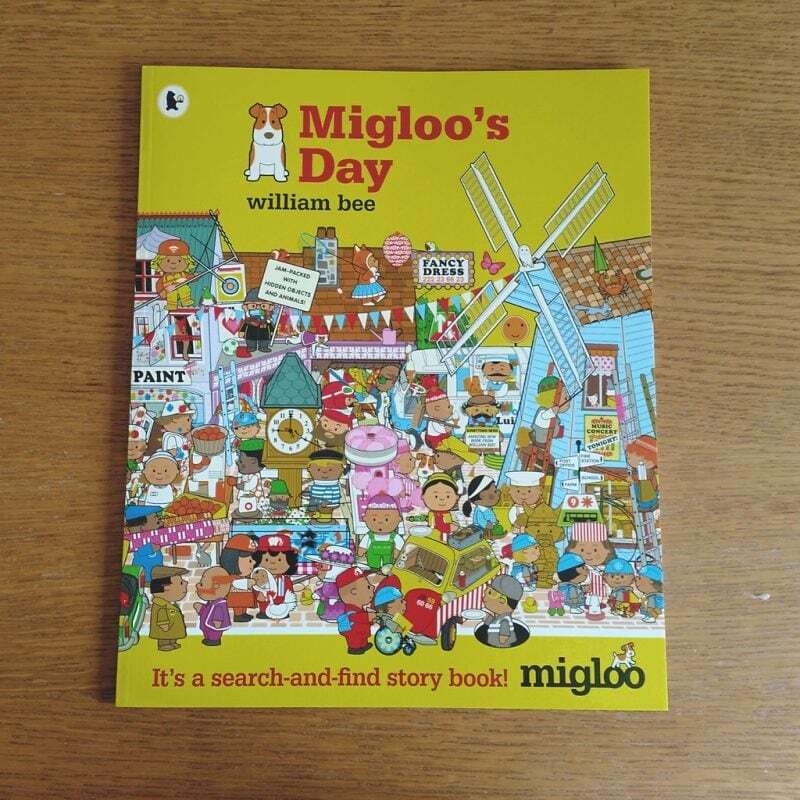 Migloo’s Day is a search and find story book. It has similar elements to one of our strong favourites ‘You Choose’. It is jam-packed with detailed and thoughtful illustrations that really allow your child to interact with you while reading. For this reason, it may appeal particularly to children who dislike the lack of interaction when being read to. 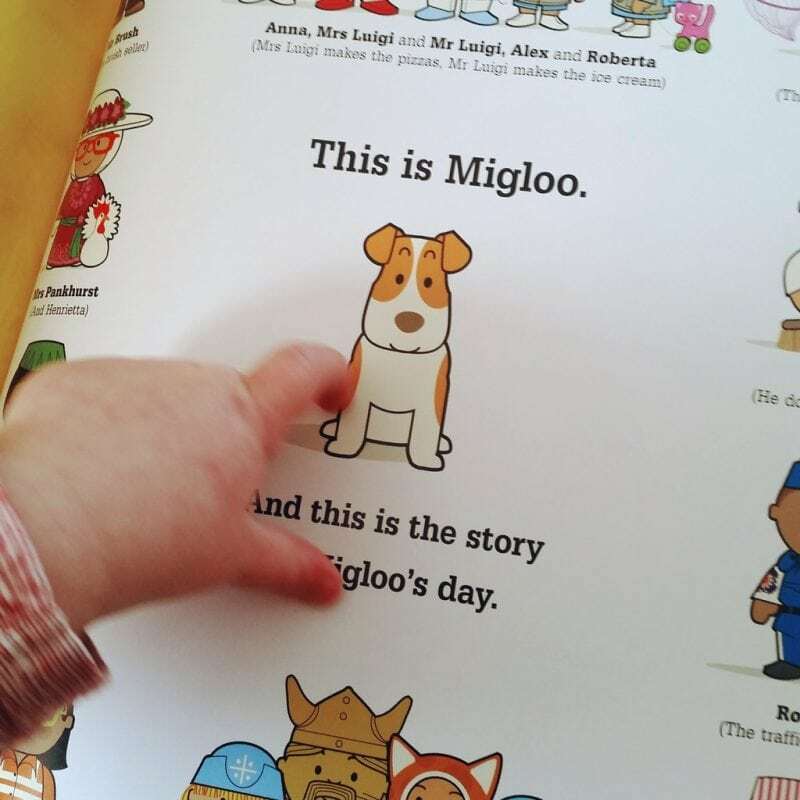 We follow the story of Migloo, a curious dog, and his friends. My children are three and one and they both enjoyed looking through the book. My one year-old daughter was enthralled by the detailed pictures and spent a lot of time looking at the pages almost independently. She particularly enjoyed looking for Migloo, the book’s main character, as he is a dog and she loves to look for animals and point them out. She spent some time engaged in excitedly pointing him out when I asked her to find the doggy. When it came to me reading the story, she was less interested, but at sixteen months, I think that is to be expected. My son was much more interested in the various ways the book can be used interactively. His father asked him questions about Migloo’s Day, what he could see in the pictures, things he may have seen more than once, and how many there were of various objects etc. They sat together for several minutes and read the majority of the story. 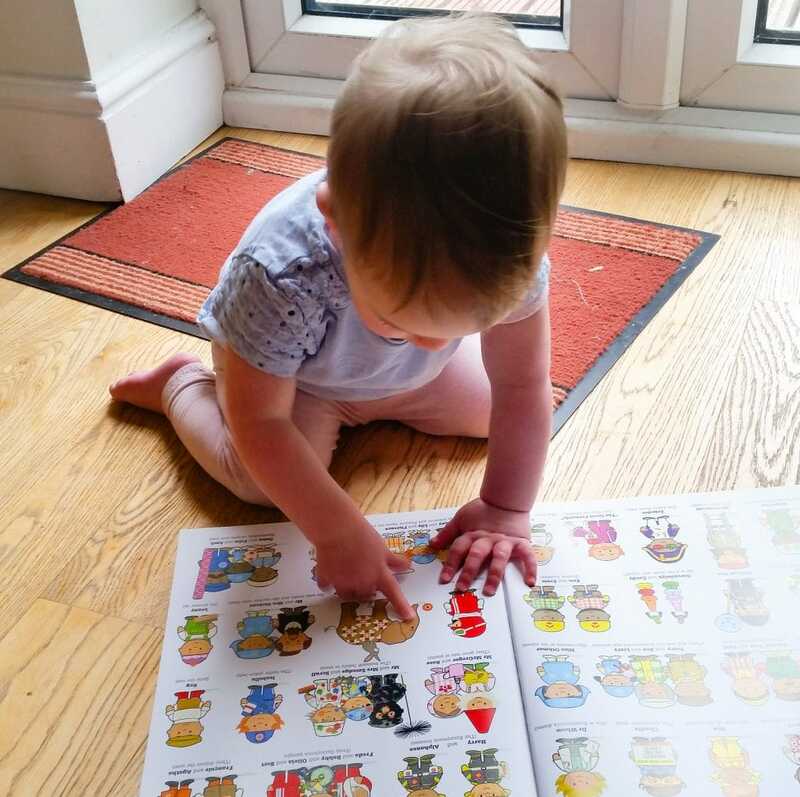 The opportunity to use the book in various educational and developmental ways is key here – you can count objects, play memory games, ask questions about what happens next to develop reasoning and imagination. There is so much in every single illustration – including one that has a pull-out to expand to twice the size of the other pages. 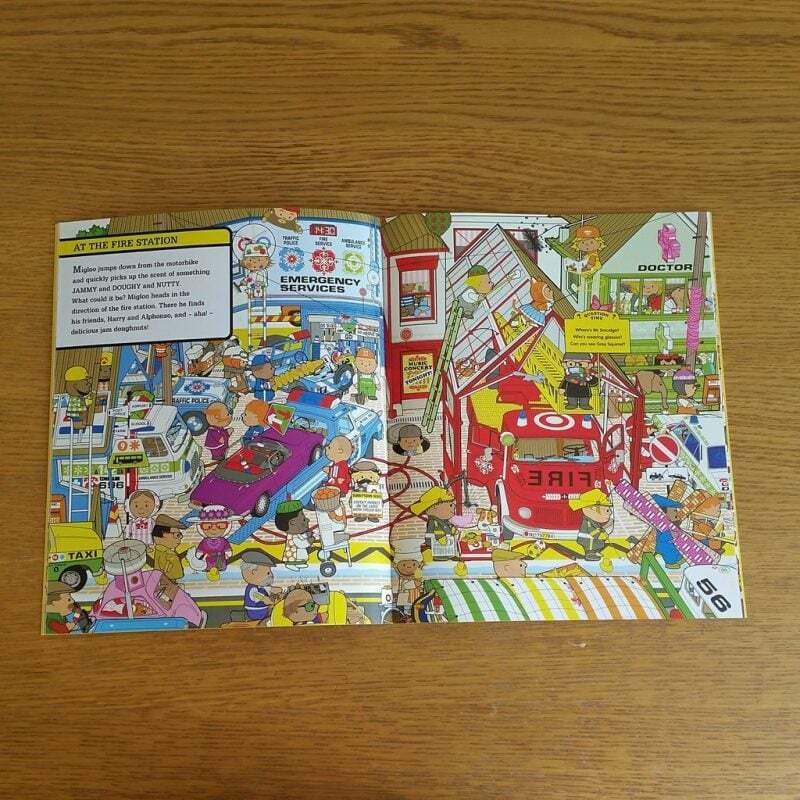 There is also a section at the back with extra suggestions for puzzles and ways to interact. This is the kind of book that should appeal to children right from the time they become interested in books, up to children quite a bit older than my son; the complexity of the puzzles, interaction and questions can grow with them. My one criticism of the book would be that each new page and new plot development is fairly similar to the last. My son was not interested in finishing the story – though he had plenty of fun looking at three or four pages in detail. I think perhaps the story is more engaging for older children and so he may focus on that as he grows. Overall, Migloo’s Day is a very thoughtful and visually interesting book. I think both my children will come back to it and gain different things as they grow and develop.